One prosthetic hand could unzip a backpack and work a combination lock. Another featured three different utensils that could be individually positioned for cooking. A third design would enable a handicapped athlete to bump, set and serve a volleyball. These are just a few of the devices invented by high school students at Wheaton over the past two weeks, as they participated in EXPLO’s first Bioengineering for Girls program. 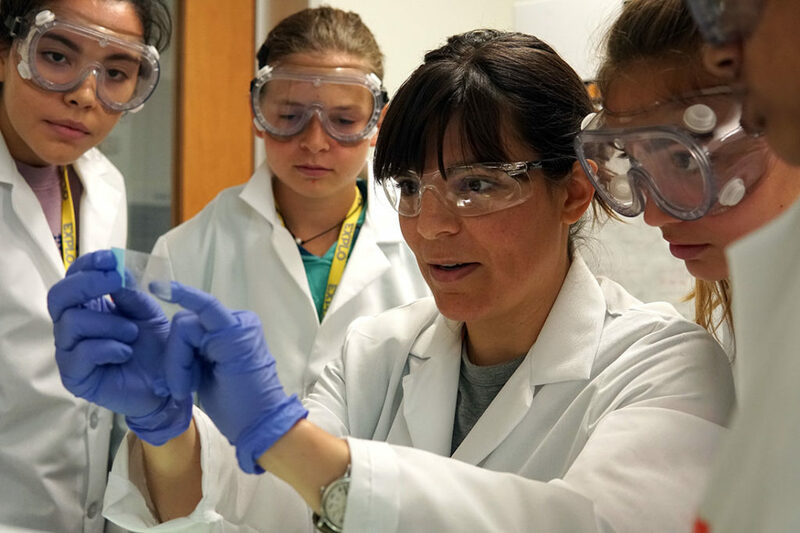 The summer camp was led by Wheaton Assistant Professor of Biology Laura Ekstrom, with support from Associate Provost and Associate Professor of Psychology Meg Kirkpatrick and other partners and advisors from around the Boston area. “The EXPLO Bioengineering for Girls program was designed to expose high school girls to ideas and techniques used in the field and to introduce them to other women mentors—to really get the message to them that they can be engineers and makers and that they absolutely do belong in this field,” Ekstrom said. Now in its seventh year at Wheaton, Exploration Summer Programs, or EXPLO, offers a diversity of residential and day camp sessions for children, from second grade to high school, focusing on everything from art to computer programming to paleontology. 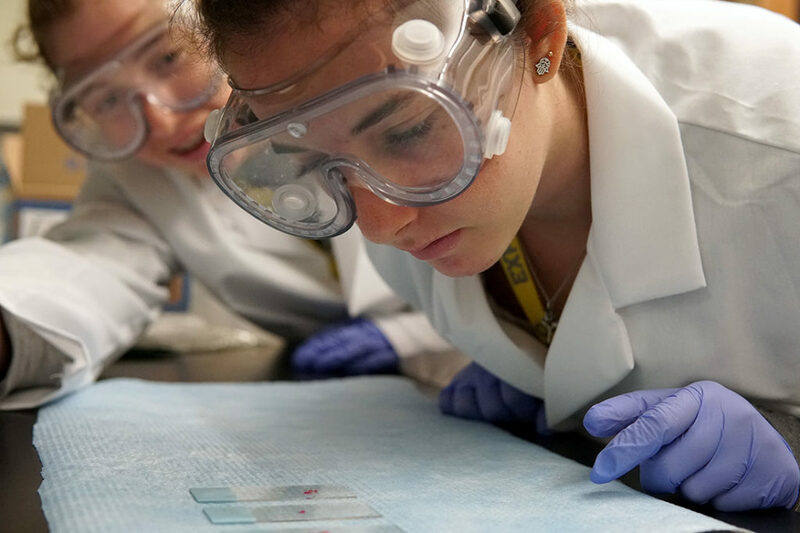 Students in the Bioengineering for Girls program studied anatomy and physiology, worked with state-of-the-art equipment in Wheaton’s Imaging Center for Undergraduate Collaboration, and visited other labs in the area (such as Brigham and Women’s Hospital in Boston, where they used a surgery simulator). They also connected with women leaders in the STEM fields of science, technology, engineering and mathematics. For their final projects, the girls each designed a prosthetic device that would help a partner do some of the activities she loved if she lost a hand. They interviewed one another to determine their goals, developed several prototypes using equipment in Wheaton’s Lab 213 makerspace and presented their ideas at a final showcase open to the college community. As a scientist and educator, Ekstrom is a strong advocate for women in the STEM fields. For the past two years, she and Associate Professor of Mathematics Rachelle DeCoste have organized the Wheaton Summit for Women in STEM to support and inspire women in these fields.